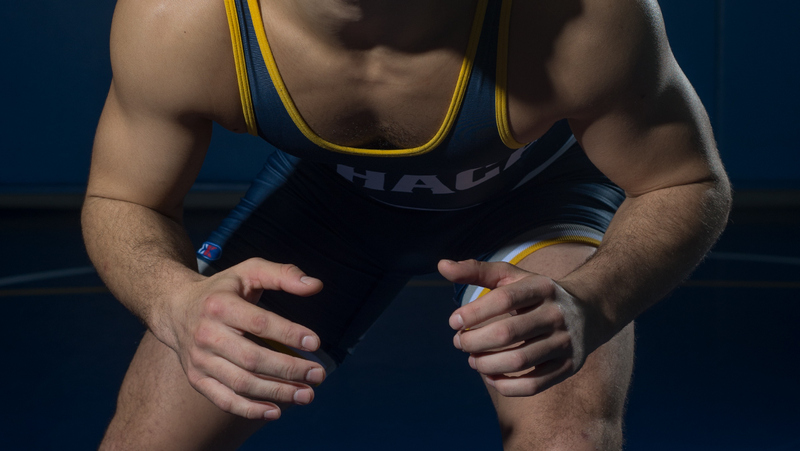 The fourth ranked Ithaca College wrestling team sent its athletes to three different meets. On Jan. 27, the Bombers defeated Centenary University 33–9 in Hackettstown, New Jersey. The team then traveled to Doylestown, Pennsylvania Jan. 28 to compete against Delaware Valley University and won 33–6. Their weekend ended Jan. 29 when they competed in the Jamestown Community College Open in Jamestown, New York. The Bombers won eight out of 10 matches against the Cyclones. The Blue and Gold got off to a fast start when sophomore Ferdinand Mase recorded a pin-fall barely two minutes into the 125-pound bout, putting the South Hill squad up 6–0. After the Cyclones regained some ground by scoring four points, senior Nick Wahba scored three points for the Bombers in a decision. Wahba was followed by freshman Sammy Schneider, who recorded his 17th straight victory to give the Bombers a 12–4 advantage. Following another win by the Cyclones, two major decisions were won by juniors Nick Velez and Jaison White to put the Bombers up by a score of 20–9. Sophomore Jake Ashcraft was able to clinch the meet with his victory by fall. The Bombers seized eight out of the 10 bouts against Delaware Valley University, two of which by forfeit. Senior Jimmy Kaishian propelled the Bombers to a quick start, winning his 10th major decision of the year. Mase recorded another win, shutting out his opponent to give the Bombers a 7–0 lead. In the 141-pound bout, Wahba had his hands full with sophomore Tim Ambacher of the Rams. Ambacher was about to take the victory, but Wahba took him down with just three seconds left in the match to win in thrilling fashion. After a forfeit gave Schneider his second win of the weekend, the Bombers were able to pick up four straight victories, solidifying their victory over the Rams. The Bombers sent eight athletes to the Jamestown Community College Open, a group headed by senior grappler Liam Korbul, who won the 197-pound title. Korbul went 2–0 on the day, capturing his championship with a third period pin-fall of Gannon University’s junior Nigel Toussaint. Another 197-pound Bomber, freshman Tanner Nielsen, finished in fourth after going 2–2 on the day. Freshman 165-pounder Al Ciccitto and sophomore 149-pounder Greg Lee both captured runner-up finishes. At 157-pounds, sophomore Jawan Jones and junior Anthony Fano both placed, finishing in third and sixth, respectively. Junior Adam Moser and freshman Ben Brisman both placed fifth in their respective weight class. The Bombers will return to action next weekend when they travel to SUNY Oneonta to compete in three matches starting at 12 p.m. Feb. 4 for the 2017 Oneonta Quad.